A carpet of hilltop towns, patterned with crops and fields of faded sunflowers unrolled around every corner. Up and up the old car climbed, the oil hot and the passengers restless – we were nearly there. 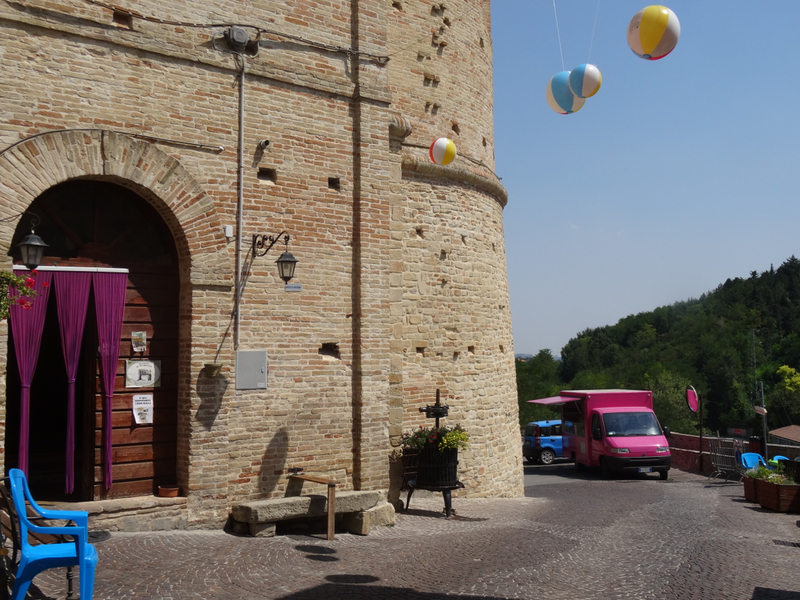 This was Le Marche, all of it a discovery for us as we searched for the village of Montelparo and its new Hotel Leone.